Hello everyone! I managed to get in some crafty time this weekend and made a couple of very quick and easy cards. First up was my use of Faber-Castell's Glass Bead Glitter Gel. 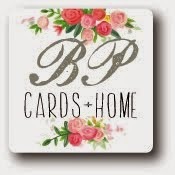 I've been wanting to try it for such a long time after seeing some pretty sparkly cards out in blogland with this product. 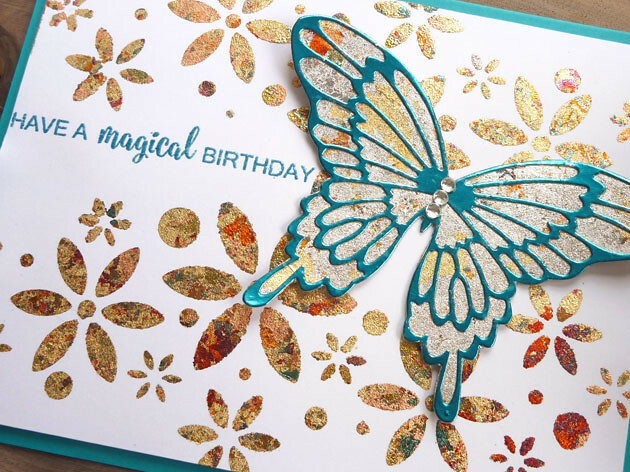 I used the same butterfly stencil on two cards, inking them both up with Distress Oxides and then applying the Bead Glitter Gel. I so love how they turned out! It really is beautiful and glittery and has lots of dimension. Makes me happy! I'm definitely going to be using this product a lot more! 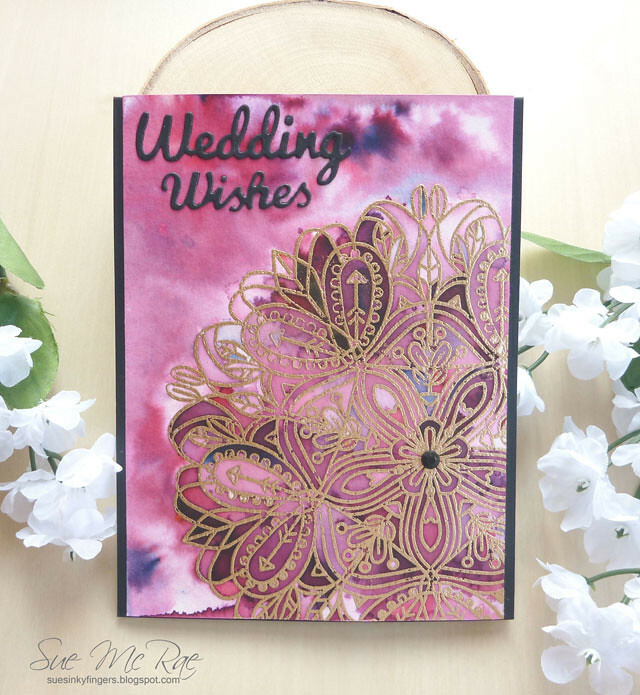 Next is a quickie card with some Distress Oxide Ink Blending and a black heat embossed silhouette image. I added Nuvo Drops in clear and like the way they pick up the ink colour underneath. That's it for me. Thanks for stopping by today! 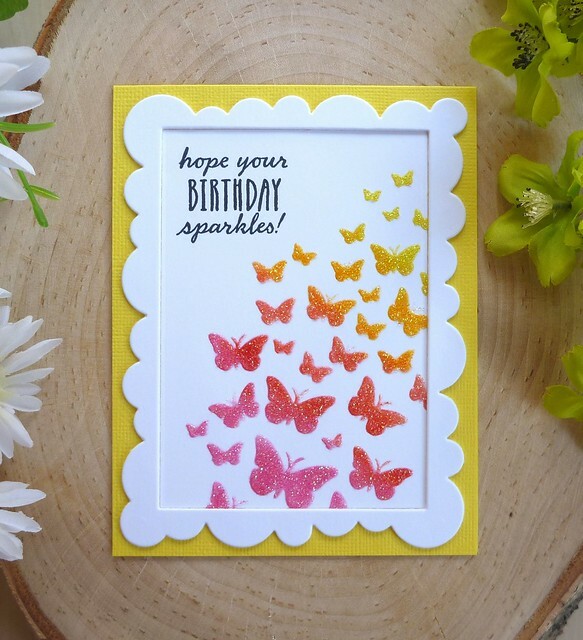 I have a quick and easy birthday card today. I took a piece of bristol paper and watercolour paper and inked them up with Distress Oxides in Peacock Feathers, Mermaid Lagoon and Blueprint Sketch. 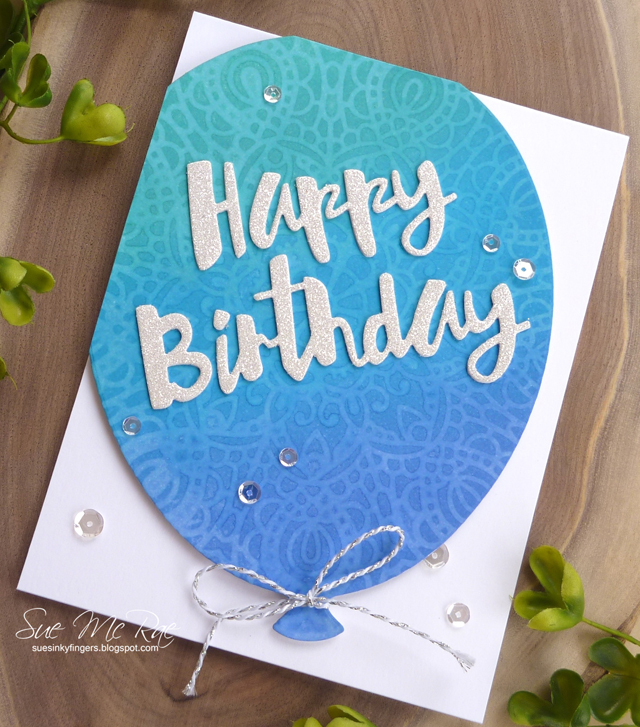 I die cut the Simon Says Stamp Balloon Die from each inked piece and took the Simon Says Stamp Circular Lace Stencil sprayed it with water and layed it on top of the balloon. I let it sit for a minute, removed the stencil and dried it with my heat gun. 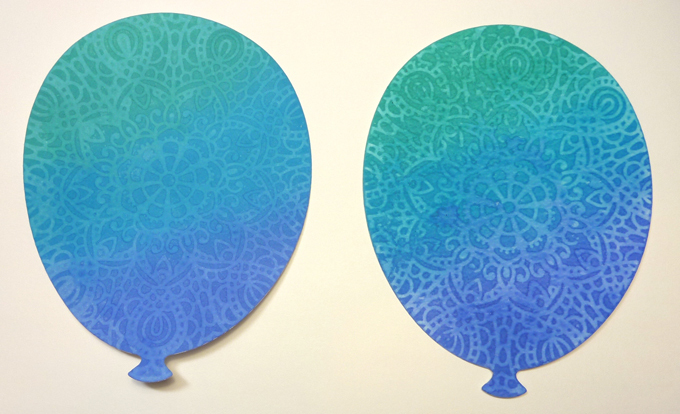 You're left with a ghost or bleached image of the lace pattern on the balloon. The one on the left was the bristol, the one on the right the watercolor paper. I really like how this turned out! 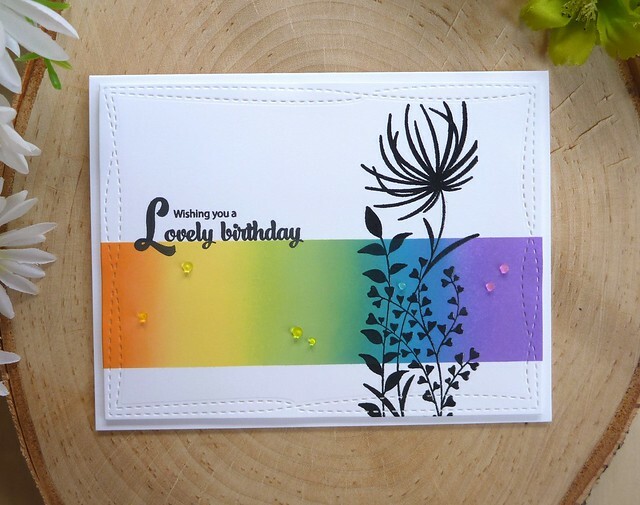 My card was made with the bristol balloon. 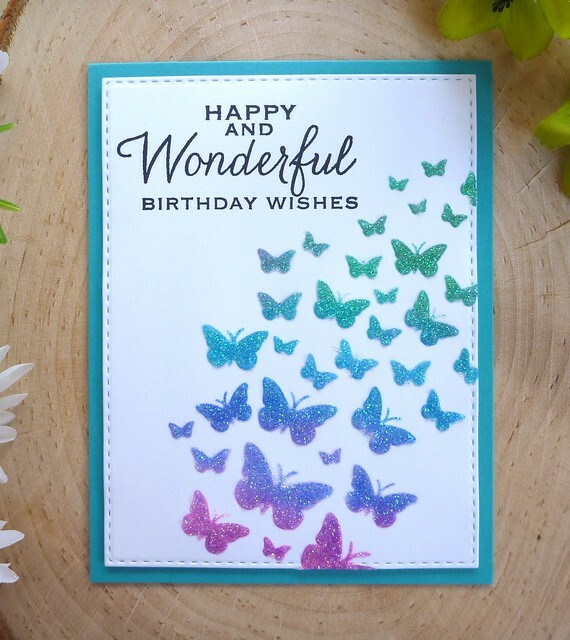 I just added it to a card front with the Simon Says Stamp Painted Happy Birthday die cut from white and white sparkle card stock for a layered sentiment. 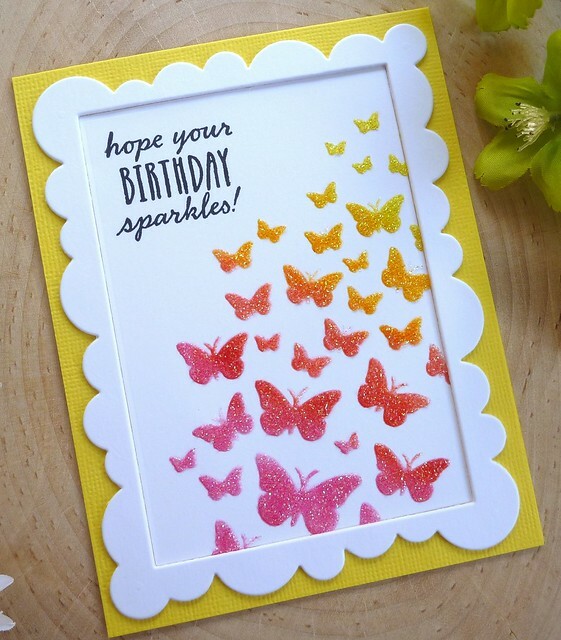 To finish I added a bit of twine and some sparkling clear sequins and the card is done. I definitely want to play with this technique more, it's simple and fun to do! 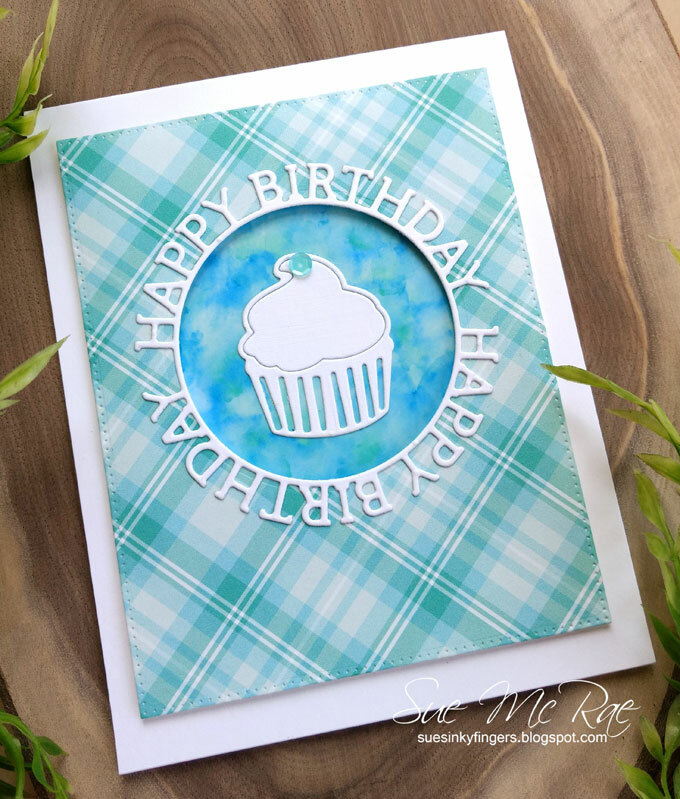 I'm adding this card for Simon Says Stamps Happy Birthday Challenge here. 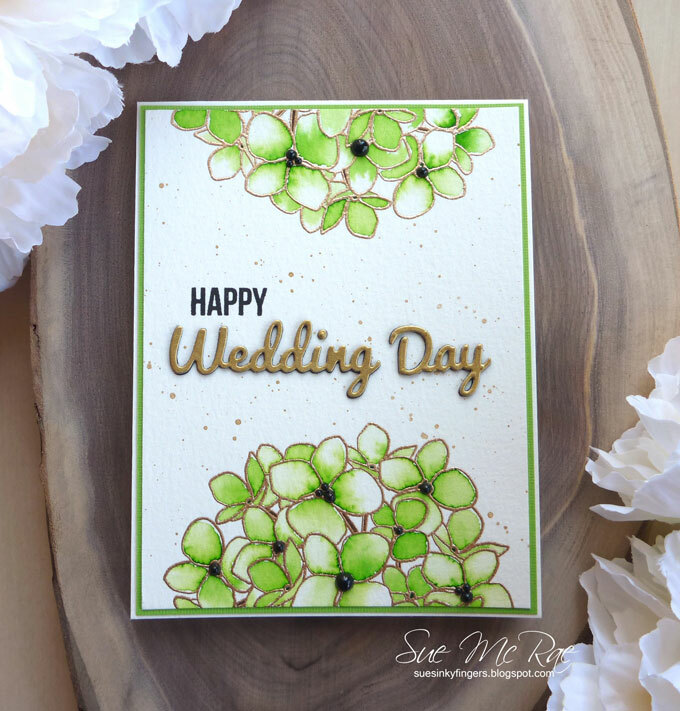 I'm back with a couple more cards featuring the Essentials by Ellen Mondo Hydrangea. 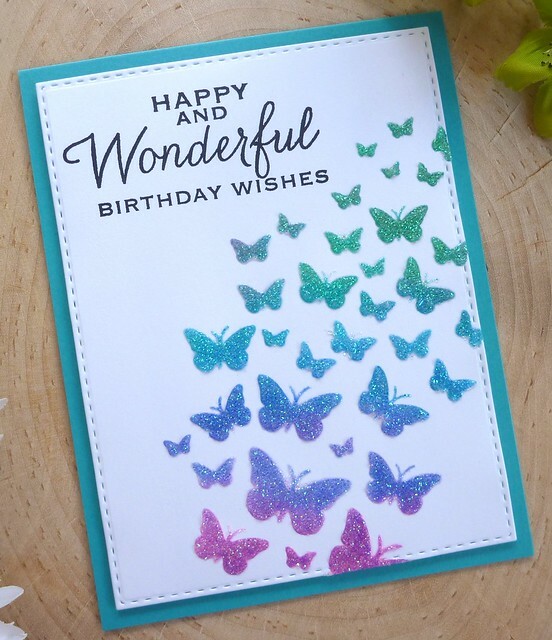 For the first card I white embossed the image on watercolour paper and coloured it with Zig Clean Color Real Brush Markers. I'm still in the experimental stages with these markers. 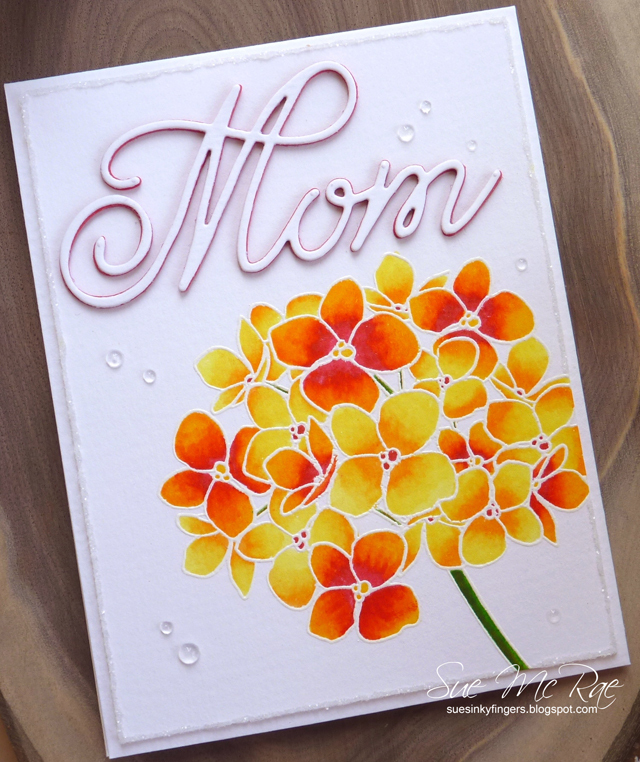 The Simon Says Stamp mom die cut was layered four times with red card stock with the final layer being watercolour paper. I just love the pretty script of this die. I put liquid adhesive around the edges of the panel and sprinkled with Distress Rock Candy Glitter and added a few Nuvo Crystal Drops. 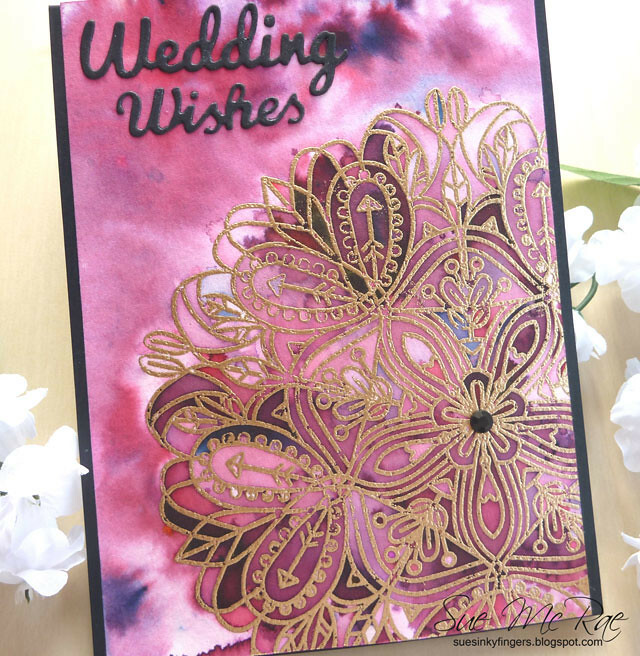 For the second card I gold embossed the image on watercolour paper and used Gansai Tambi Watercolors. I had wanted to make a pastel card but my watercolouring had some issues so I went back with darker layers and sort of made a mess of it and had to add more watercolouring and ended up with this bloom. I was going to pitch it but I thought someone out there might like it. 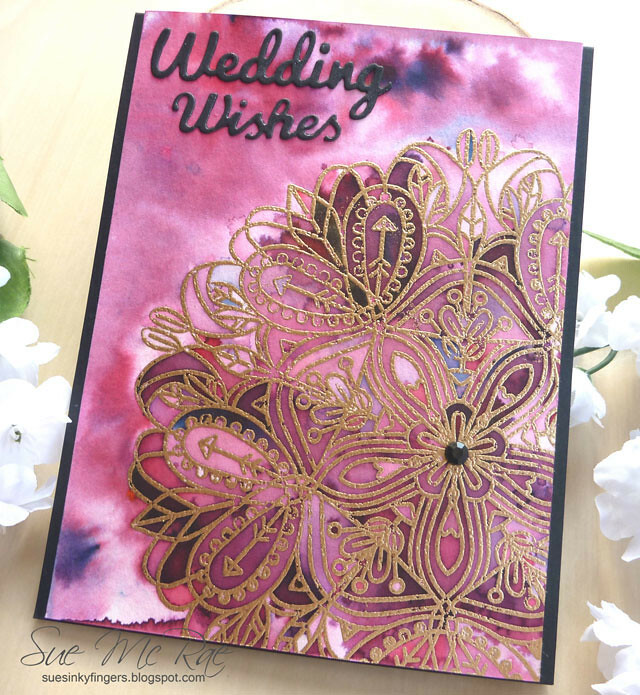 I ran my panel with the Essentials by Ellen Stitches Cover Plate on the top corner for some added interest and finished off with a gold die cut sentiment. 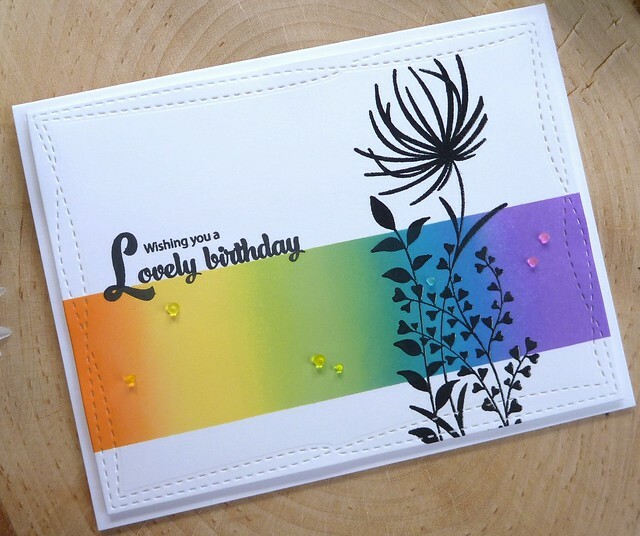 I'm entering this card for Ellen Hutson's March Pin-Sights Challenge here. 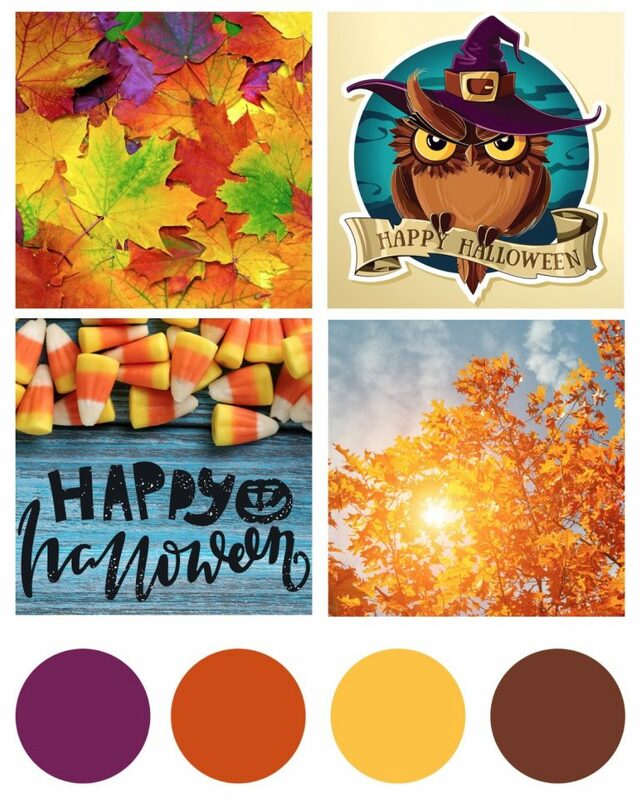 Loving the jewel tones in this colour palette! 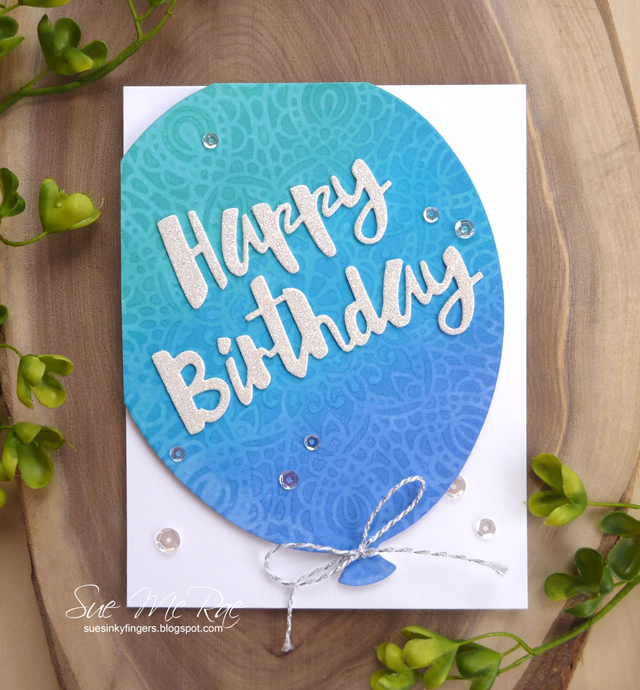 The Wednesday Challenge Blog at Simon Says Stamp is turning 9 years old! Wow, how time flies! 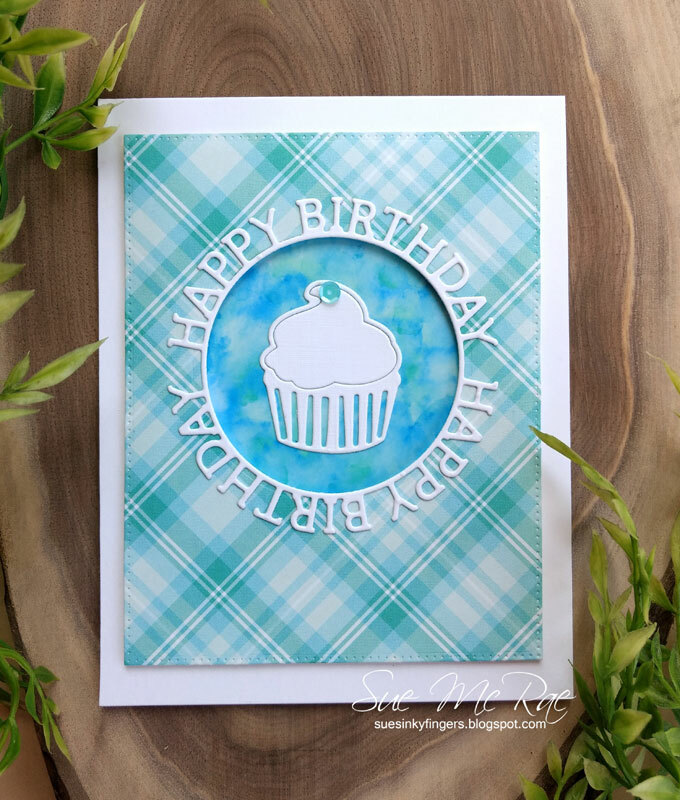 I needed to make a masculine birthday card so I pulled out a sheet of Lawn Fawn plaid paper and created a background piece for the window using alcohol inks. Very simple design, which I tend to use for masculine cards. I don't know about you, but I find them difficult to make. Though I rebelled a bit and added one sequin. 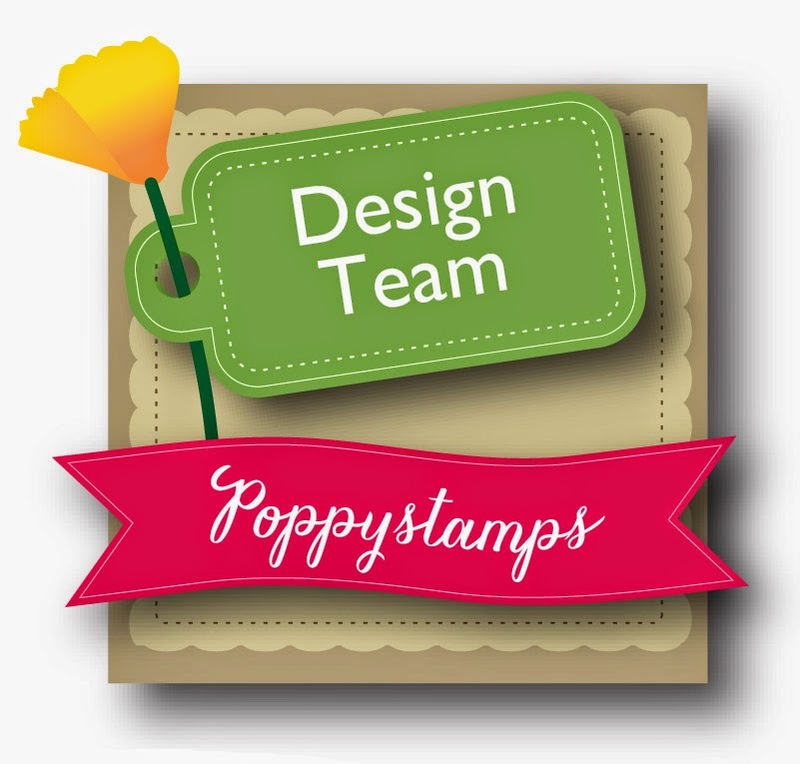 I took a few months off from blogging and am now back with my first crafty post of the year! 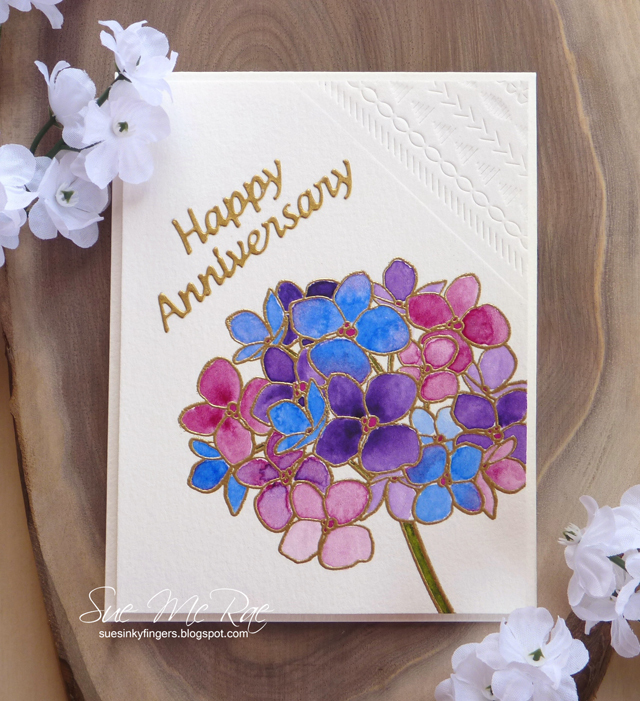 I have been totally smitten with the Essentials by Ellen Mondo Hydrangea since it came out and finally got my hands on the stamp set. 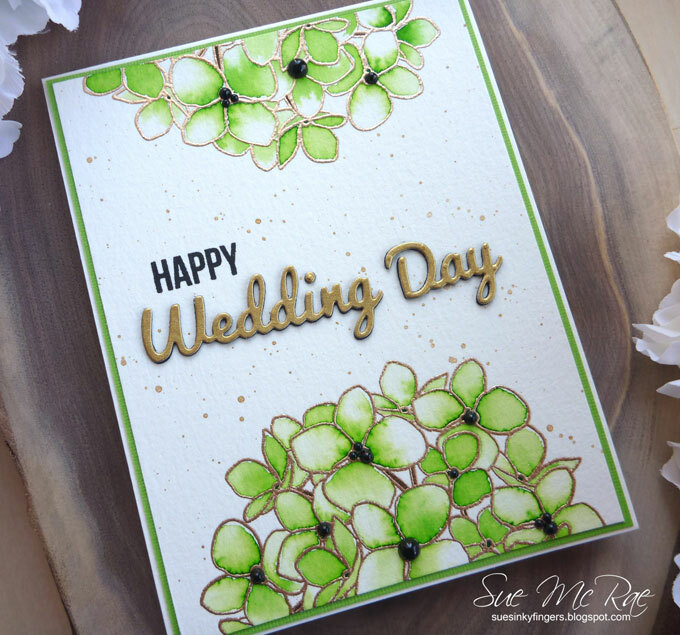 I gold embossed the flower twice on watercolor paper and used Peerless Watercolors on them. 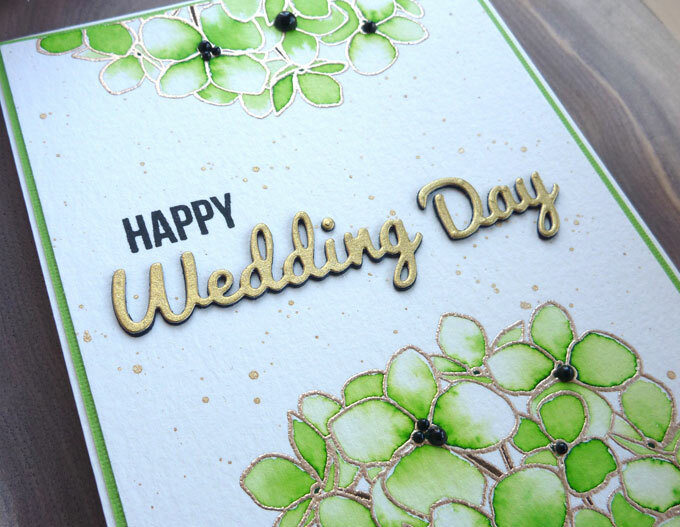 For a little contrast the sentiment was die cut from 3 layers of black card stock and and a top layer from gold card stock. To finish I flicked on gold paint and added a few pearls. 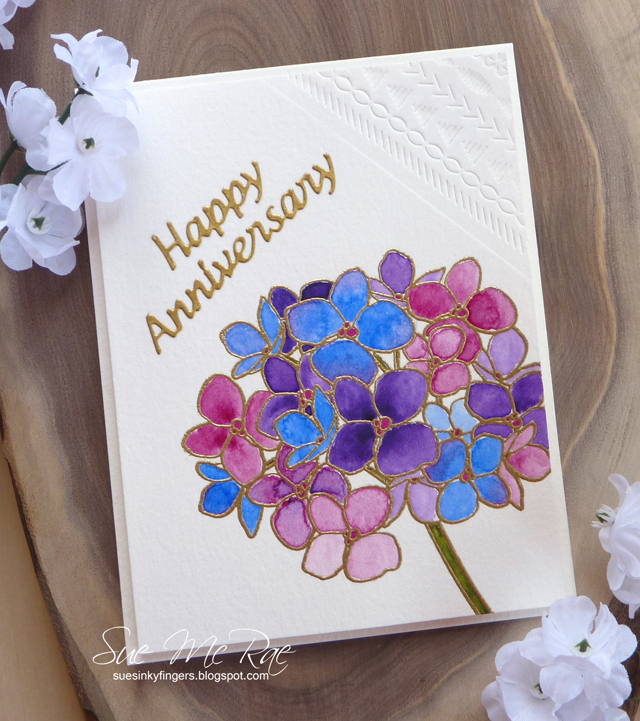 I have a couple more hydrangea cards in the works and hope to have them done in a couple of days! 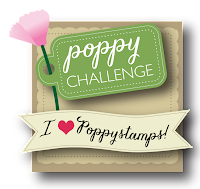 Here's a little peek at my card that's up at Poppystamps! 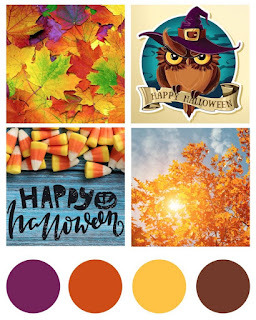 Stop by the blog here to see all of the details!